Lawn & Landscape Magazine has named Green Lawn Fertilizing’s, Kelly Zynn, as their Employee of the Year in their latest July Edition. 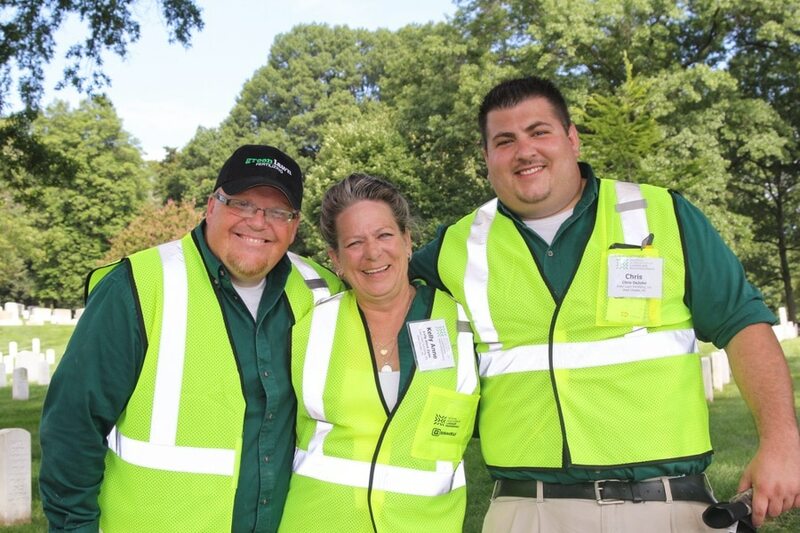 Every year Lawn & Landscape, as the leading business news and resource in the Lawn Care industry spotlights a single employee who has stood out among his or her peers. Kelly was chosen for 2016 among nearly 900,000 people in the industry! Kelly has been a loyal employee of Green Lawn Fertilizing for over 7 years. 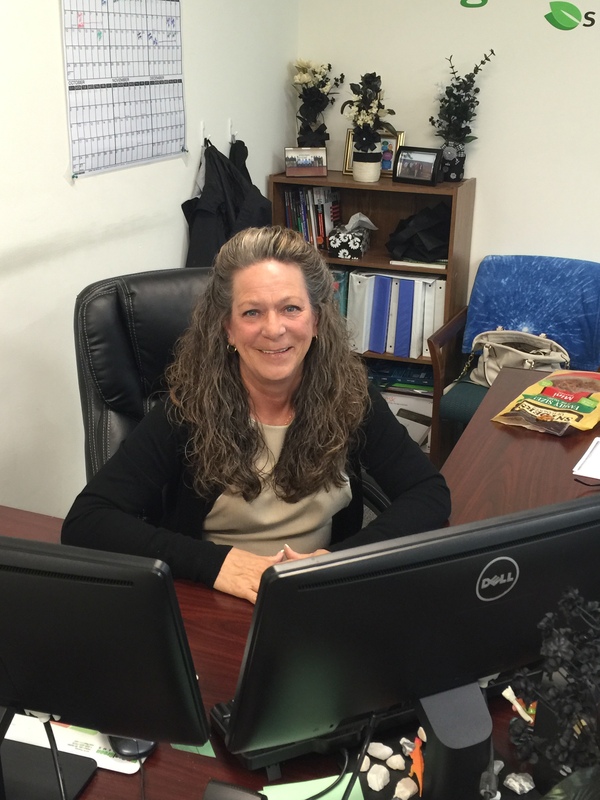 As Lawn Office Manager she is responsible for managing the entire lawn office staff and the company’s overall customer satisfaction. 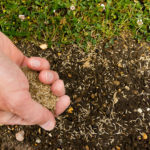 Due in large part to Kelly’s leadership, Green Lawn Fertilizing has received over 3,000 positive reviews from customers and has grown to be the top local lawn care company servicing the Philadelphia tri-state area and a top 20 lawn care company in the entire US. Kelly was nominated for the award by Green Lawn Fertilizing’s president Matt Jesson. Upon hearing back from Lawn & Landscape that Kelly had won, Jesson initially did something that was very hard for him: he kept it a secret. He scheduled an impromptu all-staff lunch meeting for the following day without telling anyone what the meeting was about. This was very uncharacteristic for Matt Jesson as he typically gave his employees plenty of notice before meetings and would have a set agenda. With all employees gathered in headquarters training room and an aura of mystery in the air, Matt started to address the company by thanking everyone for a record breaking month in the company’s history. He quickly shifted to the main reason he had called everyone together as he called Kelly up to the front of the room. “Today’s Lunch is a special honor for Kelly Zynn. I was just notified that Kelly has won Lawn & Landscape’s Employee of the Year Award. Kelly has helped us grow in the over seven years she has been here from 30 employees to nearly 100 today. Back then we were about a $4 Million company. This year we’ll be over $11M. Seven years ago we had four office reps. Today we have 14. Kelly was promoted to office leader around four and a half years ago and since that time has been a leading force in growing the office staff and the company to three times the size today. Kelly you deserve this award and many more. Thank you!” said Matt Jesson, President. Kelly was overcome with emotion from the moment as she could not hold back tears. A joking call came from the crowd for a speech, but Kelly, noticeably overwhelmed by the moment and not a public speaker by her own admission just said thank you and gave Jesson a big hug. Once she collected her thoughts she offered her deepest appreciation for the award. nge myself and perform better. Also I would like to give a very special thank you to Matt Jesson for nominating me for this award, believing in me and running a fantastic company that I am very privileged to be a part of. Thank you!” said Kelly Zynn. The Lawn & Landscape article mentioned many of the reasons on why Kelly has stood out among the lawn industry. When she was promoted to Office Manager, she brought along with her a change in culture. She put office systems in place and created training manuals for every office position. In addition to her exemplary leadership with customer service, Kelly has gone above and beyond in other areas. She has been an annual participant at the Day of Renewal and Remembrance at Arlington National Cemetery where lawn care employees from around the country congregate to treat the grounds with fertilizer and weed control. She was also a key contributor at a company event the company did a few months ago hosting disadvantaged local youth for a day of practical business learning. Kelly’s infectious personality was also mentioned in the article. Jesson was quoted in the piece saying “She really sets the right tone for customer service. It starts with attitude, and she has a super positive one.” Kelly is always smiling and laughing and is quick to offer praise to her staff for a job well done. She also organizes company holiday events like the Thanksgiving feast and the Christmas ugly sweater competition. She is truly a difference maker at Green Lawn Fertilizing and well deserving of her Employee of the Year award.